All universities across South Africa now recognize Cambridge qualifications! ACESA represents a united voice, on behalf of member schools, to Cambridge International Examinations. We aim to assist Principals, Schools and Educators to offer Cambridge Qualifications in a Southern African context. We have arranged two interest areas for this workshop, so we suggest you bring along representatives interested in the specific focus group. 1. Workshop for Primary School principals 2. Marketing Seminar Save the date. Further details to follow in January 2018. All ACESA members are invited to attend this Secondary Interest Conference arranged by NAPTOSA on March 3rd 2018 at 08h00 to 13h00. 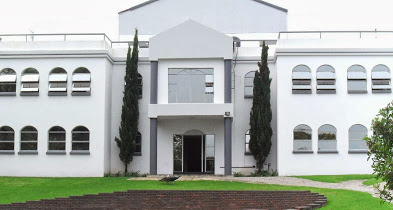 Venue is WITS Education Campus in Parktown, Johannesburg. Save the date. Programme material will be relevant to all syllabi, GDE, IEB and Cambridge with keynote speakers and break away workshops. More detail to follow in January 2018. Learn More! An introduction to Global Perspectives 5-19 Johannesburg, South Africa Cambridge Assessment International Education and Cambridge University Press invites you to our Learn More! professional development event, An introduction to Cambridge Global Perspectives 5-19. The event is for school Principals, HoDs and academic staff that are currently teaching Cambridge qualifications or interested in offering Cambridge qualifications at all ages and skill levels. Cambridge Assessment International Education and Cambridge University Press invites you to our Learn More! professional development event, An introduction to Cambridge Global Perspectives 5-19. The event is for school Principals, HoDs and academic staff that are currently teaching Cambridge qualifications or interested in offering Cambridge qualifications at all ages and skill levels. Delegates will have an opportunity to learn more about Cambridge International, how to deliver Cambridge Global Perspectives in the classroom and the resources available from Cambridge University Press. The training will be delivered by key speaker, Keely Laycock, course work and teacher resource author of Cambridge IGCSE® Global Perspectives and International Approaches to Learning and Teaching in Global Perspectives. Please come prepared with any questions and with the energy for some experiential and exploratory learning! The course is free of charge including refreshments, lunch and teaching materials; however bookings will be made on a first come first serve basis. Learn More! An introduction to Global Perspectives 5-19 Cape Town, South Africa Cambridge Assessment International Education and Cambridge University Press invites you to our Learn More! professional development event, An introduction to Global Perspectives 5-19. The event is for school Principals, HoDs and academic staff that are currently teaching Cambridge qualifications or interested in offering Cambridge qualifications at all ages and skill levels. Cambridge Assessment International Education and Cambridge University Press invites you to our Learn More! at all ages and skill levels. Perspectives and International Approaches to Learning and Teaching in Global Perspectives. made on a first come first serve basis. Keely has been involved in the field of education for almost 30 years. She holds a Masters in Online and Distance Education, a BA Hons degree in European Languages and Institutions and a Postgraduate Certificate in Education. She has extensive teaching experience and has been Head of Modern Languages and has trained and mentored Initial Teacher Training students and Newly Qualified Teachers. Keely has a wide range of experience in assessment, development and as an examiner. She has delivered teacher training internationally as well as in the UK. Her first Coursebook and Teacher Resource for Cambridge IGCSE® Global Perspectives was published in March 2016 and her second, International approaches to Learning and Teaching in Global Perspectives was published in August 2017. She is an advocate of the Constructivist learning approach and is passionate about skills-based learning to prepare students for the 21st Century.